Nick Hancock getting some winch practise with his Rock Pod. 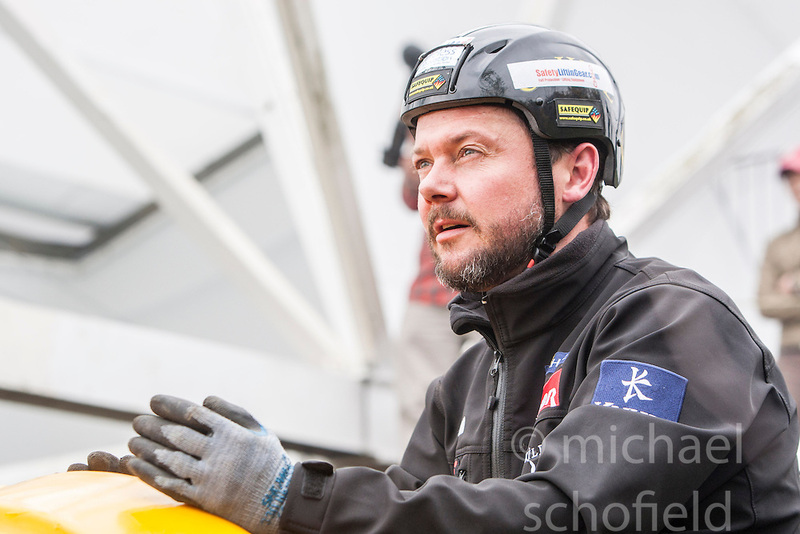 Nick Hancock getting in some winch practise with his Rock Pod, at the Edinburgh International Climbing Arena, for his 60 day Rockall Solo 2014 endurance expedition. Nick will use the Rock Pod, a modified plastic water tank, to live for two months on Rockall, a uninhabited remote granite islet, hundreds of miles off Scotland in the north Atlantic, in order to raise funds for Help for Heroes.